Special Congratulations to Kyle Sullivan and Bree Pelligrini for leading the way in miles with over 250 and 160 respectively. Also thank you to Mr. and Mrs. Behr for donating the GPS watches that made it much easier for me to keep track of your mileage and paces! I'm incredibly proud of the progress you all have made this winter. 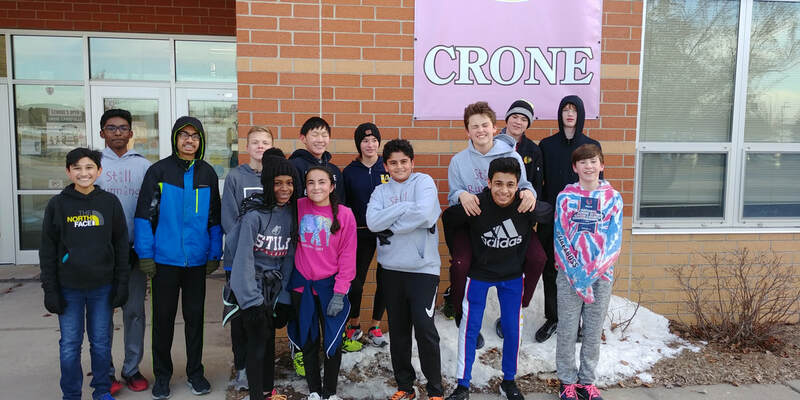 This is the 3rd year that we've had a Winter Running program at Still, and the commitment that this group has made has been a blessing. You have all continued to build a positive, committed team culture that I hope will carry on to future classes as well. If you haven't already checked your mileage and shared your hard work with friends and family, you can find a spreadsheet with all of your Winter Miles in the Race Results tab. Let's keep our momentum going and have a successful Track season. Scullen Down, Crone on Wednesday. Track Website: www.stilltrack.weebly.com - Starts soon, get your paperwork in! I have tentatively moved our run to watch 7th Grade basketball to their Crone game on Weds. March 6. I still do not have a finalized start date or schedule for Track, but I believe this will still be before the first day of Track practice. I did not want to repeat a school that we already ran to this year, however we are limited in which schools are accessible via safe running routes and where the girls play away games. The conference schedule has Still 7th Grade play away at Madison, Lincoln, Washington, Jefferson, Kennedy, and Crone - of those schools only Lincoln and Crone are viable to run to, and I my schedule has prevented us from making it to Lincoln this year. Hopefully the weather/track schedule cooperate with us and we can go the girls play, since so many of them are our winter/XC teammates. Unfortunately my own class on Thursday was cancelled due to the weather. I'll now be in class on Feb. 7th from 6-9, and will be unable to do the run to Lincoln. I will attempt to find another 7th Grade away game for us to attend if my schedule permits. With one week to go until Winter Break, we've already covered 2093 miles as a team and are quickly approaching last year's winter total of 2423 (and that was including January through March!). As we approach break, think about how you can maintain your momentum and consistency for the 2 weeks that we'll be away. We've made big strides in these last couple months, with some of runners crossing the 5 mile threshold for the first time and others reaching up to 25 miles in a week. Please try to fill out your mile logs accurately and legibly after your runs this week so I can monitor how your legs are feeling after last weeks mileage. Hopefully some of you who were nervous about our long runs last week have learned something about yourselves and what you are capable of. Congratulations Hall of Fame Class of 2018! Congratulations to City of Lights Competitors! Lots of great times at the meet this morning - 6th/7th graders be sure to remember that this was a 2 mile race when you are comparing your times. FULL results are available underneath our Season Times on the results page. 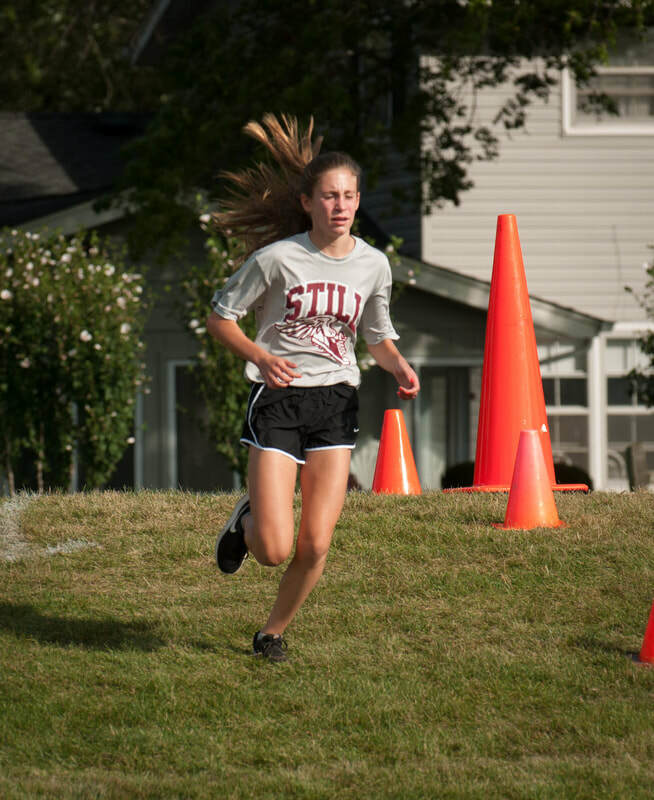 Note that there was an issue with the times in the 7th Grade Girls race - I attempted to, very crudely, use MS paint to add Keira in, and in the process noticed that Neha and Payge were missing from the results as well. I added approximate times based on where I believe you finished relative to your teammates on our meet page, but you may not see your name in the full results. Congrats Kyle, Nathan, and Mikayla on their 3 way tie for 1st. The team scores should still be in the right order even though those 3 broke my formula that adjusted the points for ties (it could only handle 2 way ties, not 3). On Wednesday before you leave practice, tell Coach Gibbs a time you predict you can run for 1 mile (2 laps on our course). Remember if you ran the mile in Track, running in the grass will be slower than your track times, so predict accordingly. On Thursday, we will race a mile on our course and record your finishing times. NO WATCHES/PHONES ALLOWED DURING THE PREDICTION RACE! This meet will NOT be scored based on how fast you run. Scoring will be based off of how close you are to your predicted time. For example: Coach Gibbs predicts he can run a 4:50 mile, but runs 5:25 on Friday. Coach Kreiter predicts he can run 6:05, but runs 6:21 on Friday. Coach Kreiter was 16 seconds away from his prediction, while Coach Gibbs was 35 seconds away from his prediction. Coach Kreiter would place 1st, since he was closer to his prediction, even though his overall time wasn't as fast. Anyone can win this race! Team scores will be done according to cross country scoring, with the top 5 runners on each team (according to how close they were to their predictions) scoring points. If you have teammates who are absent - don't worry, you only need 5 members to score as a team. 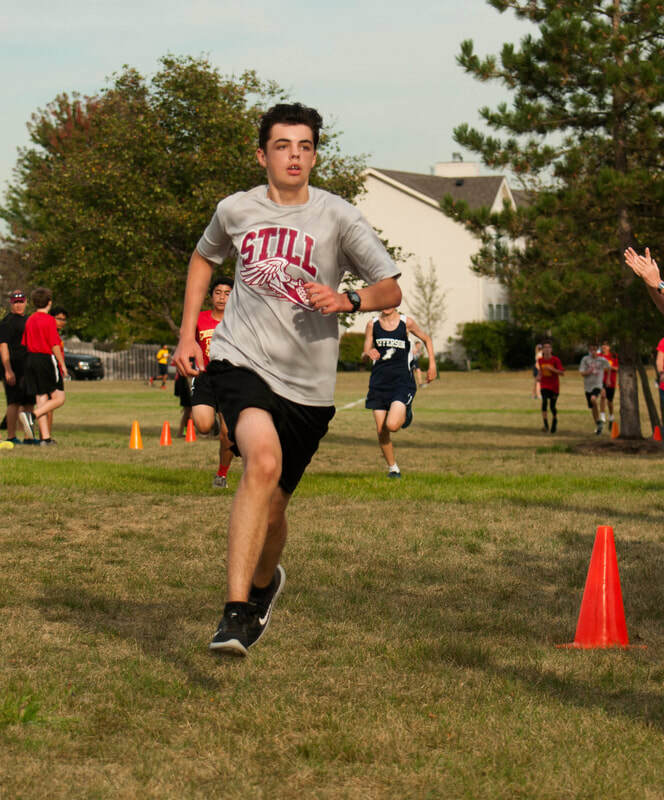 However, your other runners can still "displace" and push back the scores from runners on other teams, so try to make sure your whole team attends on Thursday! Hopefully you will have a better understanding of the "displacement" scoring system that cross country uses after this event. Expect to warm-up, stretch, pre-meet, and cooldown with these teams on Thursday. Yes, I know your friends are on other teams. Time to make some new ones! If I forgot to put you on a team, let me know at practice and I will add you! 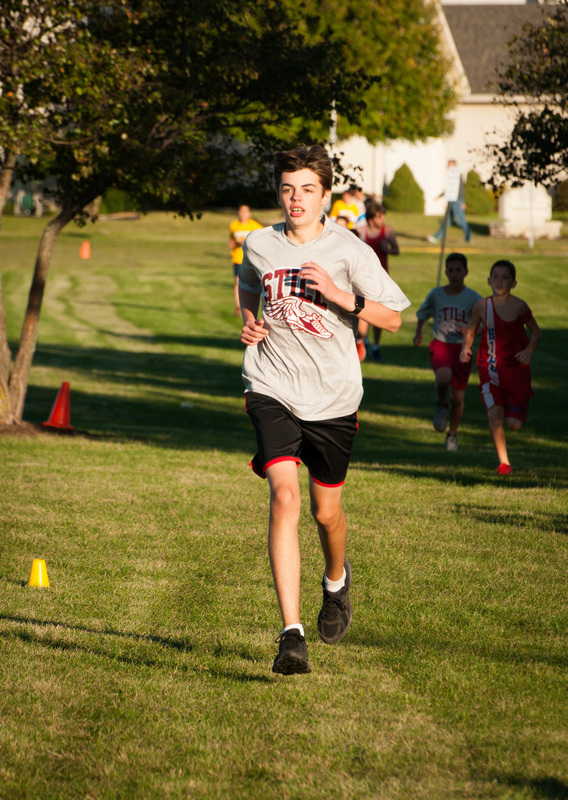 Cross Country is available to 6th, 7th, and 8th graders at Still. 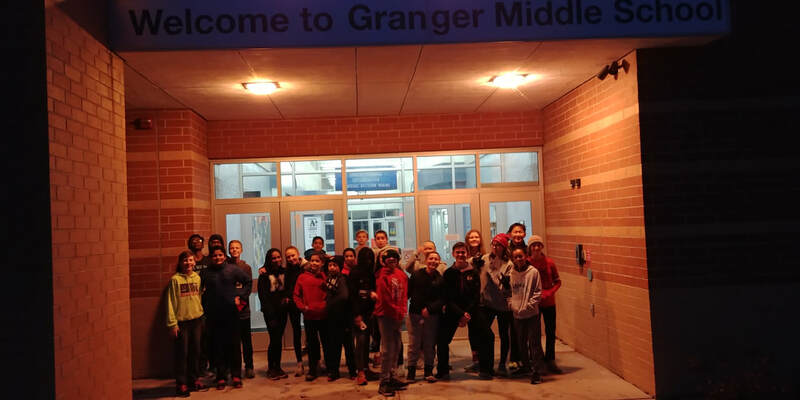 Yes, 6th graders can participate too - and there is no athletic fee for 6th graders! Can't get enough running? You can run year-round at Still. Running is a great habit not only for your physical well-being, but to instill discipline, work ethic, and determination that will benefit you throughout your life. Note that 6th grade distance runners are welcome in all of these programs. 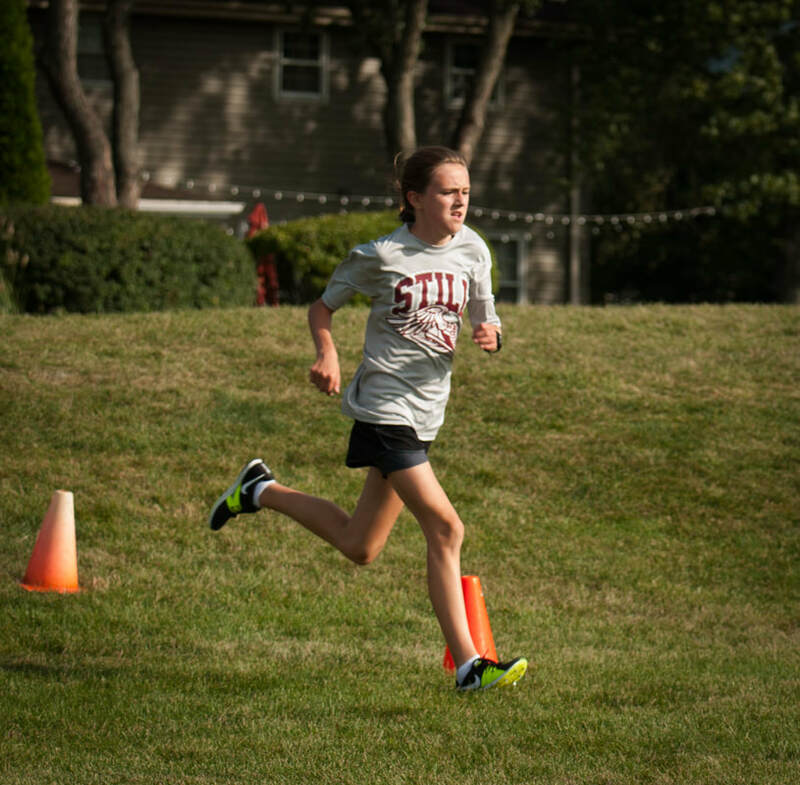 Coach Gibbs - Staff @ Prairie Children Preschool, Coach for Cross Country, Track, and Still Running Club since 2014. Former Waubonsie Valley Runner. Attended K-12 in District 204. Congratulations to the Hall of Fame Class of 2017! 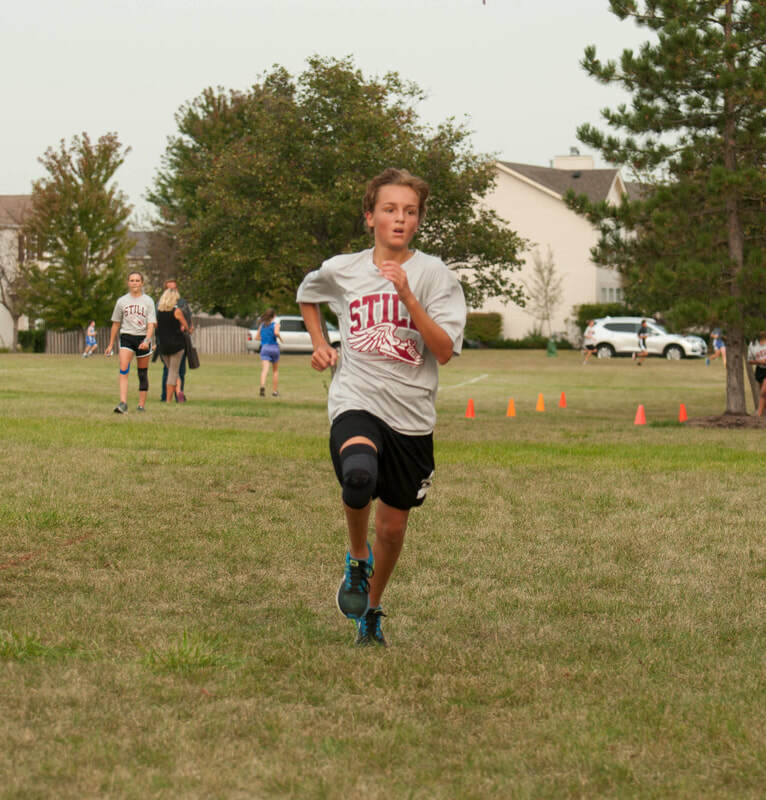 Check out the Pictures Tab above - Big thank you to Mr. and Mrs. Behr for the photos of everyone racing! Tiger Trails Results! City of Lights next Saturday - Details coming soon! Congratulations Hall of Fame Inductees 2016! Thanks to Mr. Behr for the great pictures of our HoF athletes!